90% of the patients who come for a free initial consultation decide to start their treatment immediately. This is because our dentists do not feel stressed to sell. Instead, they take the time to explain the most relevant treatment plan for you, and then ensure it is successfully accomplished. Belonging to a Swiss group allows our teams to get away from the daily pressures of turnover. And those members of our teams who have previous experiences from work at other dental clinics in Budapest (more oriented towards mass dental tourism), have provided us with insights and reconfirmed our conviction that to stand apart and take the time to offer our patients the best treatment possible, is always the right option. Because we know that you are our best ambassador, and rather than investing heavily in marketing and advertising at Helvetic Clinics we prefer to focus on you. On your care and on the service that we offer. Regarding the sales side, we rely heavily on word of mouth and, for that, we trust you. Do not go on a risky adventure-trip abroad for your dental care! By trusting Helvetic Clinics for your dental treatment, you opt for the best possible organization for your dental travel, and be assured that you will receive the best care possible with access to the very best dentist specialists. Each in their domain of expertise of modern dentistry, performing in one of the very best dental clinics in Budapest / Hungary. Our patients are our best ambassadors, check out what they say on the web: Helvetic Clinics! 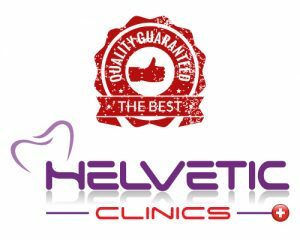 Helvetic Clinics, dental clinic Budapest, certified ISO 9001.